Some of my conversions aren't for share due to the lack of permissions from the original authors, so I left them ready to play but incomplete. 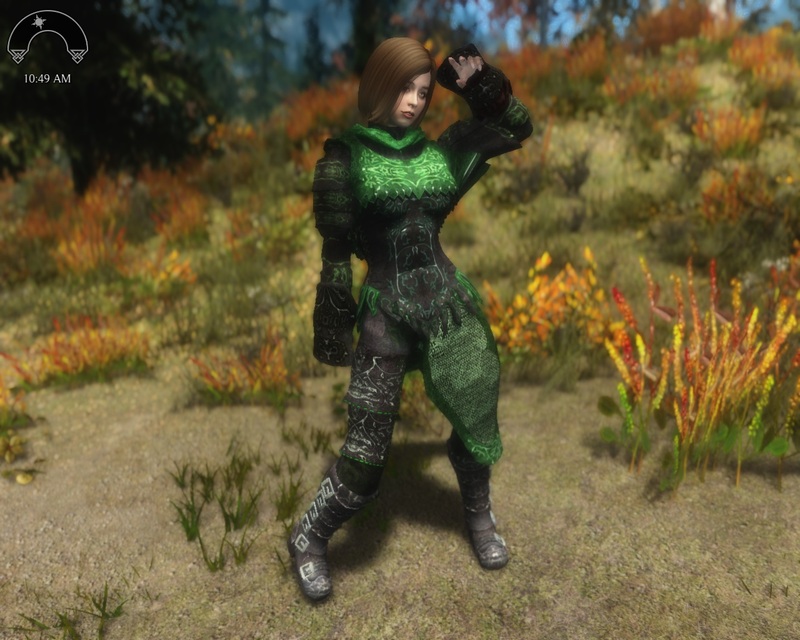 They all look great in-game so if you have the skills, you should consider port them to your Skyrim game. 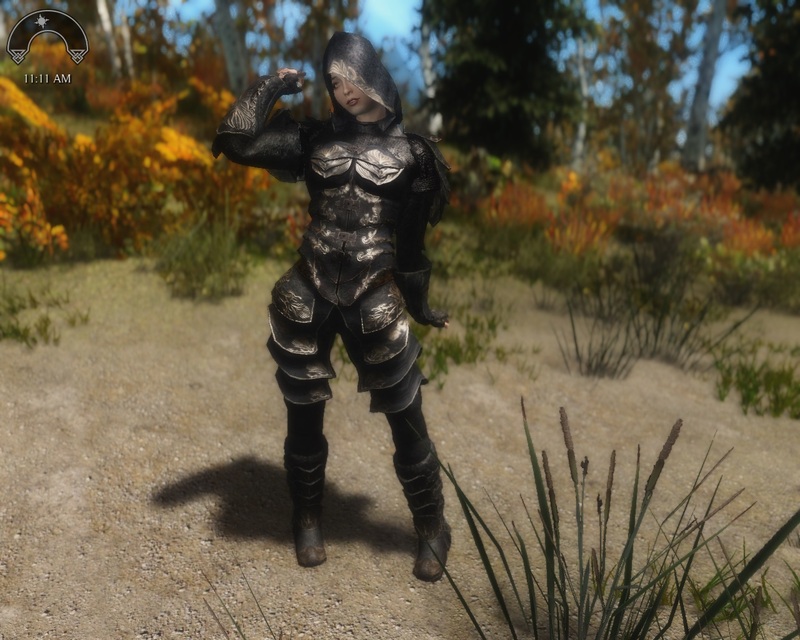 Just to make sure: this isn't a post to provoke anyone, it is just a post to show how some Oblivion mods look in-game. The original mod creators have my thanks for their work and assets, and I respect their decision and not share publicly the conversions. Probably my favorite outfit from this pack, looks really nice in-game. Nailflan is still an active Oblivion modder and has lots of nice releases; if you still play Oblivion check his work. I'm not a Star Wars fan but this Twi'lek outfit is very well done, and goes well with lightsaber and other Jedi-related mods. NeoVici is a prolific modder and has created mods both to Oblivion and Skyrim (and other games), but this is still on Oblivion only. From the Final Fantasy universe, another armor that can fit Skyrim right away. A more actual texture could do wonders, but Kiki should be proud of this set. Two great armors that looks like they are always in the game, specially the second one is fitted for a great warrior. Great job from Andragorn. As a big fan of Dwemer architecture (armors not so much) this is a nice variation from the clunky robot-like dwarver armors, at least giving the female figurine some curves. Kudos to Kosai. If they can share for Oblivion they can share for Skyrim. Anything else is pure nonsense. Maybe someday the authors change their minds regarding the permissions.